Join the 8th Annual Run For Joe on June 2, 2019 in Port Angeles for the North Olympic Discovery Marathon. We hope you will join us in Running for Joe and raising money to support the Captain Joseph House Foundation. In addition to the full marathon, there is a half-marathon, 10K, 5K and even a Kids Marathon, all with stunning views of the beautiful Olympic Mountains (the key word there is “views” — the course is relatively flat!). You can form your own 5-person relay teams. For more race details, including course maps, training guides, etc., please visit the North Olympic Discovery Marathon Website. 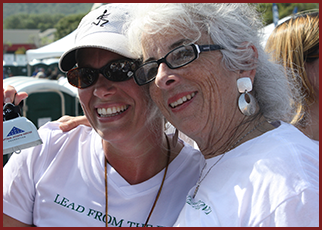 The adult runs are all on Sunday, June 2, 2019. This site will be continuously updated with hotel information, fundraising tips, and other information. 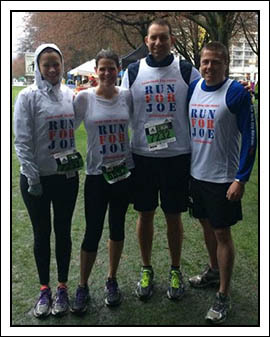 • Run for Joe runners who raise at least $500 will receive a Run for Joe performance running singlet.